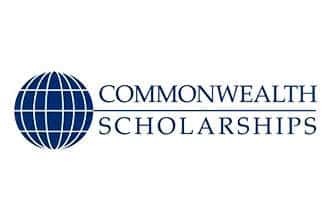 Commonwealth Scholarship for Master’s and PhD in the UK are offered for citizens of developing Commonwealth countries under Commonwealth Scholarship and Fellowship Plan (CSFP) is one of the largest and most prestigious scholarship schemes for international study in the world. The Indian candidates have to apply through MHRD which will send the nominations of around 65 candidates which includes 26 candidates for Ph.D. The scholarship would be granted to 25-30 candidates from India. The candidates will also have to apply to individual universities apart from the common application form. Commonwealth Scholarship for Master's and PhD is a fully funded scheme to study in UK Universities. Selected candidates will receive support for 12 months till the completion of a full-time taught postgraduate qualification at an eligible UK university. The candidates must take the necessary steps to secure admission to their preferred universities in advance of their scholarship application as many courses have strict admission deadlines. Candidates must not be registered for a PhD or an MPhil leading to a PhD, at a UK university before September/October 2018. For Master's Degree: Candidate should hold or expect to hold Bachelor's Degree by October 2018 securing minimum 60% marks in Social Science subjects and 65% marks in Science subjects. For PhD Degree: Candidate should secure or expect to secure Master's Degree by October 2018 securing minimum 60% marks in Social Science subjects and 65% marks in Science subjects. The candidate should have completed tertiary education in the English Language. The candidate whose native language is not English has to produce the evidence of required competency in the English Language. For Indian Candidates, MHRD as such would not require any certificate of English Language Proficiency Certificate. Not Eligible: Applications of candidates who are staying abroad will not be considered. Mid-Term visit: For PhD Scholars, paid the mid-term visit to the home country. Child allowance: Child allowance of £224 per month for the first child and £109 per month for the second and third child under the age of 16. The application form of Commonwealth Scholarship for Master’s and PhD will be filled through online mode. Candidates can fill the online application form either from MHRD Portal or EAS Portal. Interested candidates can click on the following link to fill the application form. The candidates have to apply to study at Master’s/PhD level at a UK university with which the CSC has a part funding agreement. All applications must be made through the nominating body in applicants country. Preference of the Institute: Candidates are required to state at least one and preferably three institutions. For PhD Candidates: They must provide a supporting statement from a supervisor from at least one of the UK Universities. No candidate, for PhD, will be allowed to be interviewed without such supporting statement/letter. Plan of Study: Candidates have to submit their plan of study /research proposals in the maximum of 300 words and 750 words respectively. A research proposal must contain Title, Abstract, Introduction, Methodology, Outcome etc. Application 3: To the Individual Institute: Candidates have to submit independent applications directly to the preferred institution well in advance. At the time of nomination, it is not compulsory to provide the offer letter from the institute in the UK. The duly filled in application form must be submitted to and endorsed by one of the approved nominating bodies listed above. The CSC will not accept any applications that are not submitted via the EAS to a nominating body in their home country. All the duly filled in Application Forms must be submitted latest by 22 February 2018. Note: Application in more than one subject and one course will lead to disqualification of the candidature. Each year CSC gives the responsibility to every nominating body for its own selection process and then to submit a specific number of nominations finally selected. In India the nominating body is MHRD. The CSC invites around three times more nominations than scholarships available. There are no quotas for scholarships for any individual country. Candidates nominated by national nominating agencies are in competition with those nominated by other nominating bodies and the same standards will be applied to all the candidates. The nominated candidate’s application is first considered by a member of the CSC’s panel of advisers with expertise in the subject area concerned. Further by the CSC’s selection committee in competition with other candidates. In case where grades are provided, the candidates have to furnish exact percentage of marks and also indicate the calculation formula. In case applying for Ph.D candidates are required to produce evidence of support.